When news broke that the CIA had colluded with literary magazines to produce cultural propaganda throughout the Cold War, a debate began that has never been resolved. The story continues to unfold, with the reputations of some of America's best-loved literary figures--including Peter Matthiessen, George Plimpton, and Richard Wright--tarnished as their work for the intelligence agency has come to light. 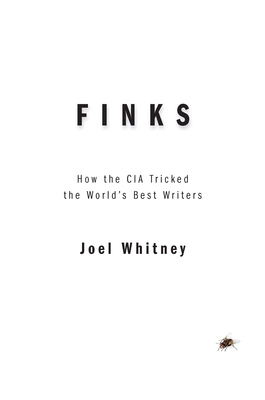 Finks is a tale of two CIAs, and how they blurred the line between propaganda and literature. One CIA created literary magazines that promoted American and European writers and cultural freedom, while the other toppled governments, using assassination and censorship as political tools. Defenders of the "cultural" CIA argue that it should have been lauded for boosting interest in the arts and freedom of thought, but the two CIAs had the same undercover goals, and shared many of the same methods: deception, subterfuge and intimidation.